Loft conversions, sometimes named loft extensions, can really enhance your home and potentially add value to it. Many home owners are choosing to extend the home and by extending upwards into the roof you save using up valuable outside space. Our expert team is highly experienced in planning, designing and completing loft conversions. We adhere to strict building regulations and ensure that we work in a professional manner – taking care of the rest of your home, as well as the new extension. Unless your roof has a very low pitch, chances are that you will be able to extend and increase your living space substantially. The pitch of the roof is an important factor in determining which type of loft conversion will be suitable, as is the way your house has been built. 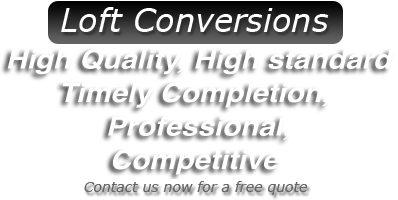 We are perfectly placed to make suggestions on the type of conversion that is suitable for your home. A gable walled roof is particularly beneficial if you are looking to convert your loft. This is because the internal volume of the roof space is larger than most of other types of build, which means that you can make use of the optimum space available. Gable walls are able to withstand and support the new structures that are needed in your new extension, such as new floors and roof beams. We can advise fully on the type of new space you can create – taking into account your family's needs and what type of conversion will suit your home. This type of roof can be problematic for loft conversions, though they can be converted to accommodate a new extension so the problems can easily be overcome. 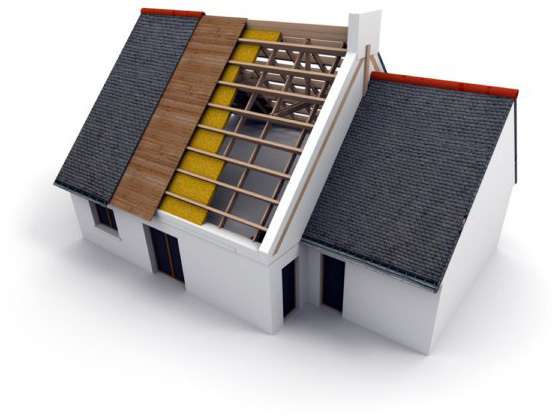 The sloped 'hipped' roof is angled and is usually found on semi detached or terraced houses and cannot support new floors and beams. By converting a hipped roof to a gable, the space in the roof is increased allowing for a generously sized loft conversion. Some hipped roofs cannot be converted and we can make alternative suggestions should this be the case. 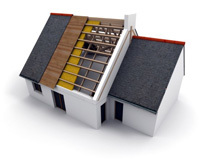 We can advise on the best fit for your home should a complete roof re-structure not be an option. You can read much more about types of loft conversions or please feel free to contact us with your questions.